In past years, we’ve done fun stuff like an interactive digital Edward bobblehead; we dressed Ed as an elf and photoshopped him into odd locations; and last year, we created a recipe book — a compilation of our favorite recipes, from our grateful hearts to your happy homes. So this year, we thought to ourselves: “Selves, don’t people need something to drink to go with all that food? Why yes, selves, that makes so much sense.”And then we thought maybe we shouldn’t be addressing ourselves as “selves.” Which reminded us of “elves.” Which also forced us to recall those holiday headaches. 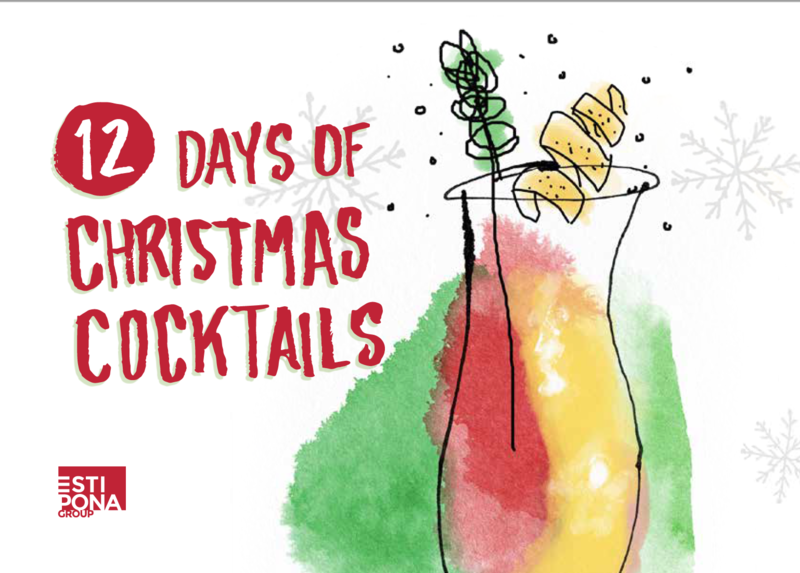 So anyhoo, at the Estipona Group, we don’t think of ourselves (heehee “elves”) as solely a marketing firm or an advertising agency; we prefer the title of “problem-solvers.” Hence the 12 Days of Christmas Cocktails: a compendium of 12 holiday drink recipes, most with non-alcoholic options, paired perfectly with your potential holiday hassles. While the drinks are all authentic recipes, we may or may not have created new names. Not that you could tell. (*ahem* White Russian Elephant *ahem*) This truly is the gift you didn’t even know you needed (but you’ll be SO glad you have)! So from all of us, to all of you: Thank you for helping to make our 2018 joyous, and may 2019 bring us all together in creative, fulfilling ways. And now, speaking of “fulfilling,” please enjoy this contribution to your cocktail repertoire by clicking our beautiful book cover below or clicking right here.